From the cocoon of the Tussah moth. 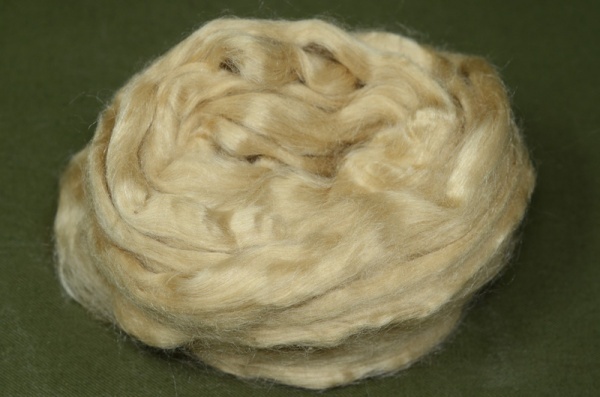 This silk is produced from the cocoon of the Tussah moth. Originating in China, the moth is not intensively farmed in order to produce silk, instead relying on the collection of cocoons from the wild. In some areas plantations are grown in order to encourage the moths to gather in specific areas, making their collection much easier. Like all silks, Tussah will not felt on its own.